VYV is the first apartment building in an 18 acre master planned development two blocks from the Hudson riverfront. The inaugural tower offers views of Manhattan, the Statue of Liberty, and Jersey City’s Embankment Park. The building consists of a 36-story residential tower topping out at 380 feet. The project consists of 421 residential units, 10,200 sf of retail, and 287 parking spaces in a precast parking garage. In addition, Hudson Exchange also brings about new street improvements, including a public plaza with more than 10,000 sf of open space. The ground-level entry plaza and level-eight amenity deck are two adjacent green spaces linked by a cascading vertical and horizontal “ribbon” element. This wall to roof transition forms both the residential building main lobby and the parking garage vertical transportation lobbies, visually connecting the street-level circulation zone of the Jersey City community with the residential amenity-level recreation area above. The north and east facades are a dark grey brick field which honors the masonry tradition of the local vernacular exploring a sophisticated relationship between this tower and its context. An interplay between historic and modern building elements emerges with the atmospheric tower which rest between the masonry faces and reflects the integrated urban fabric of Jersey City. The site is adjacent to the Hudson-Bergen Light Rail with connection to PATH trains to midtown Manhattan and New Jersey Transit commuter train service. In tandem with other sustainable architectural features, a substantial portion of the 24,000 gsf deck space above the parking garage will be a green/living roof. The Waterfront at Port Chester is the culmination of several years of work for G&S Investors. Prior to G&S Investors’ involvement, the project languished for several years through several developers who were unable to align the disparate community, political, and private company interests. Despite what seemed to be insurmountable odds, G&S Investors took on the development because it saw the reward for figuring out the situation would be a development who was within walking distance to a MTA transit stop; who was located in and amongst three of the most affluent cities in the United States and; who would be the foundation for a much needed revitalization of a proud city. Within a couple years, G&S Investors was able to align those disparate interests to come up with a plan that all parties could move forward on. The resulting plan is what has become the Waterfront at Port Chester. The Waterfront at Port Chester is an over 500,000SF two-level property anchored by Costco, Super Stop and Shop, Loew’s Cineplex and Bed, Bath and Beyond. G&S Investors is currently in the planning stages for several additional phases of the Property that will include additional retail, multifamily and hotel space. G&S Investors is excited about the future of the Waterfront at Port Chester and the potential of the future relationship between G&S Investors and the Village at Port Chester. Metro Plaza at Jersey City was built by G&S on approximately 20 acres located immediately adjacent to the Newport Center Mall, and what is now the hub of Jersey City’s retail, office and luxury residential markets. At the time of its acquisition, development of Jersey City was at a standstill. G&S saw the potential for the site and convinced major stand alone retailers to pioneer the site. The site was developed as a power center consisting of a 116,000 sq. ft. BJ’s Wholesale Club, 65,000 sq. ft. ShopRite Supermarket, 40,000 sq. ft. Wiz store, and a 22,000 sq. ft. Pep Boys. Built on a former train yard, the project helped to stimulate the economic revitalization of the area. The Jersey City site has since become a significant alternative to Manhattan for new office towers and residential construction. In working closely with the City and community leaders, the property was rezoned with the future in mind. What is now being called Hudson Exchange, this large-scale, mixed use project will integrate up to 6,000 rental apartments, roughly 500,000 square feet of retail, and 2.5 acres of publicly accessible open space that will help transform the Harsimus Cove area. The first phase of this project will entail 421 rental apartment units, 20% affordable, 35-story tower with 10,500 square feet of retail shops, and a parking garage consisting of 264 spaces. The Hudson Exchange site is also within walking distance to the Newport and Grove Street PATH Stations, providing quick access to downtown and midtown Manhattan. This G&S project was initiated through an urban renewal contract with the City of Mount Vernon and required the moving of three large industrial companies all of which successfully relocated within the City of Mount Vernon. G&S constructed 300,000 square feet of retail space along the Hutchinson River Parkway at Sandford Boulevard with 1,200 parking spaces. G&S secured anchor tenants Target and Best Buy for the two level facility, along with Bed Bath & Beyond, TJ Maxx, Famous Footwear and Petco. This shopping center was built in 2004 and sold in 2006. In April, 1991, G&S completed the acquisition of the 28.8 acre United Artists Bay Shore Drive-in, located on Sunrise Highway. The consensus in the development world had been that permits for a retail use would never be available due to community opposition. For many years, major developers had attempted to “zone” the site, but were turned down by the Township of Islip. G&S took a creative approach by working with community groups, residents and local government to formulate a development plan. One of the underlying prior objections which prevented development of this site was the concern that it would exacerbate the continuing debilitation of the downtown area of Bay Shore. As a condition to the retail zoning, G&S committed itself to working with the Downtown Merchants Association and the Bay Shore Chamber of Commerce in order to help develop a plan for the revitalization of downtown Bay Shore. Through numerous discussions, it was determined that the Suffolk County Office Building (referred to as the MiniCenter) would need to be reconfigured. The MiniCenter was a large office building containing various county agencies that needed to be decentralized in order to allow for more appropriate development. As a result, G&S embarked upon a ten-month process to have the County pass a resolution authorizing the sale of the MiniCenter. G&S proceeded in unifying a Republican and Democratic vote on the resolution (an effort deemed relatively impossible). The resolution was successfully passed. G&S found relocation sites for all the agencies and the building was subsequently purchased from the County by Touro College. G&S gained total support and zoning was granted within six months. G&S leased 10 acres of land to Home Depot, developed a 60,000 sq. ft. ShopRite supermarket and created the balance for a senior citizen housing project. The property was successfully sold in 2016. 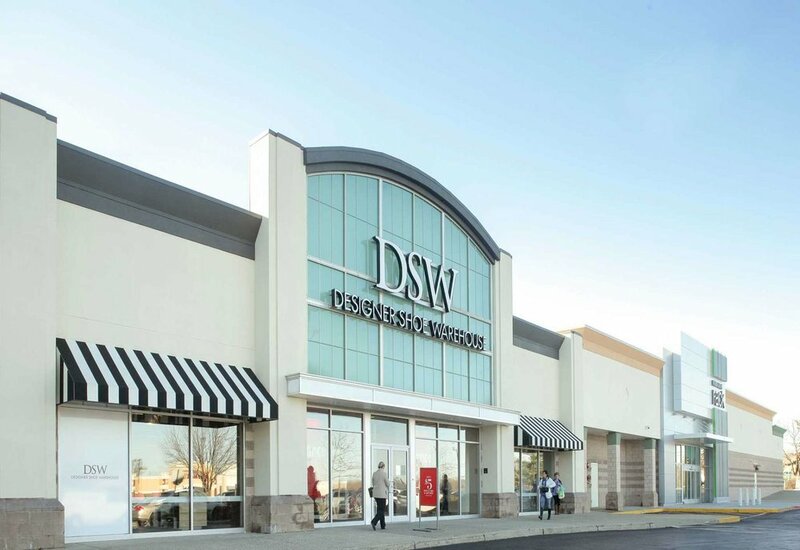 Willow Park Center is an 117,000sf retail center in Farmingdale, NY. In 1984 G&S Investors purchased the site, which was an old, dilapidated industrial park located on the Route 110 corridor. Although during the 1980’s the site’s use as an industrial park would sway most developers from pursuing a redevelopment, G&S Investors viewed the Property’s location on Route 110, which is one of the more heavily trafficked corridors in the region and an area of heavy traditional retail consumer traffic, as an ideal location for a retail center. Successfully negotiating through the redevelopment process, including a rezoning from industrial to retail use, G&S Investors completed an 117,000sf center in December 1990. 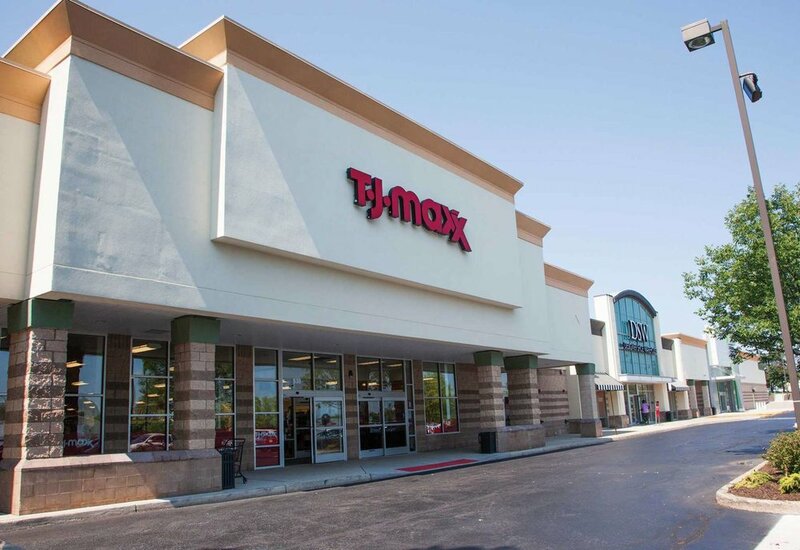 The center at that time included a 9,000sf Houlihans restaurant, which was a volume leading chain in the restaurant/bar industry at the time, a 6,000sf Maces Close-out City and a 102,000 Home Depot, Long Island’s first Home Depot. All stores in the center became an instant success, especially the Home Depot. Home Depot’s first year sales topped $50.0 million nearly doubling their first year sales projection of $26.0 million. Within a few years Home Depot’s sales exceeded $61.0 million annually making the store one of the highest grossing stores in the company at that time. With business far exceeding any of Home Depot’s wildest projections, Home Depot relocated the store to a larger facility in the same vicinity on the Route 110 corridor. 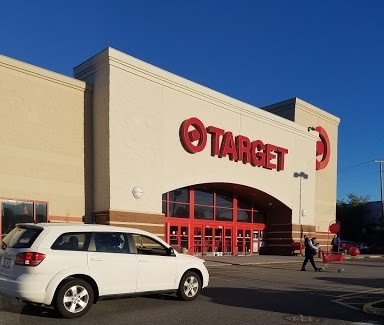 The relocation of Home Depot lead to a further redevelopment of the site, this time to its current use as a Target-anchored shopping center. As a part of its agreement with Target, G&S acquired an adjacent strip of retail stores, reconstructed them, and attracted tenants to go along with the Target store, which opened in 2003. The property was successfully sold in 2015. In 1995, G&S Investors purchased 19.5 acres consisting of a closed Amerace industrial facility and two adjacent parcels of land with the idea of redeveloping the site into a retail center. 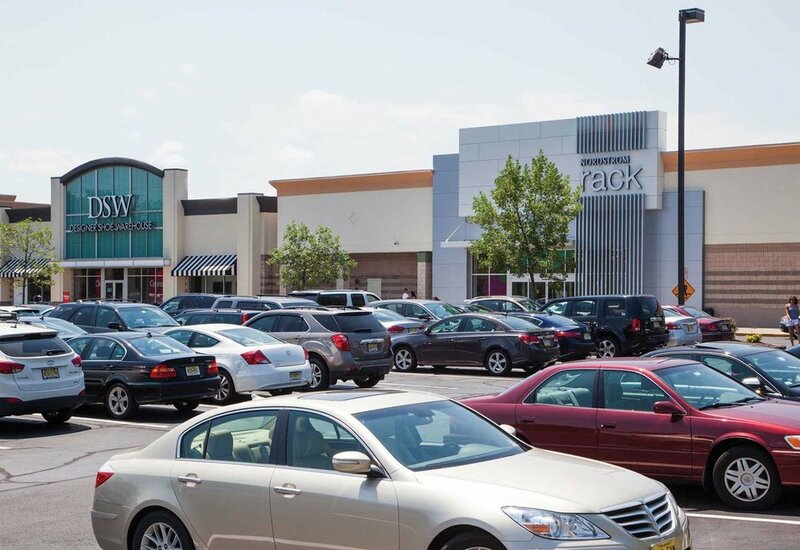 Development in New Jersey can be a costly and time consuming process; one riddled with numerous political, community and planning obstacles, however, G&S Investors believed that the location of the site was unsurpassed given that it is located at the Route 10 / Eisenhower Parkway intersection, Northern New Jersey’s most desirable retail intersection, and has significant street frontage on Route 10, Northern New Jersey’s most prominent retail corridor. In the redevelopment of the site, G&S Investors was able to allay community concerns of “big box” 100,000sf+ wholesale retail clubs through a concept of four, smaller retail tenants and contend with planning concerns over excessive existing traffic congestion at the intersection by the construction of a “jug handle” (a new roadway interchange) that was not in either the state or local budget. At the completion of the redevelopment, the Property was now the Livingston Shopping Center shopping center that consisted of four tenants, Circuit City, Linens N’ Things, Old Navy and Border’s. 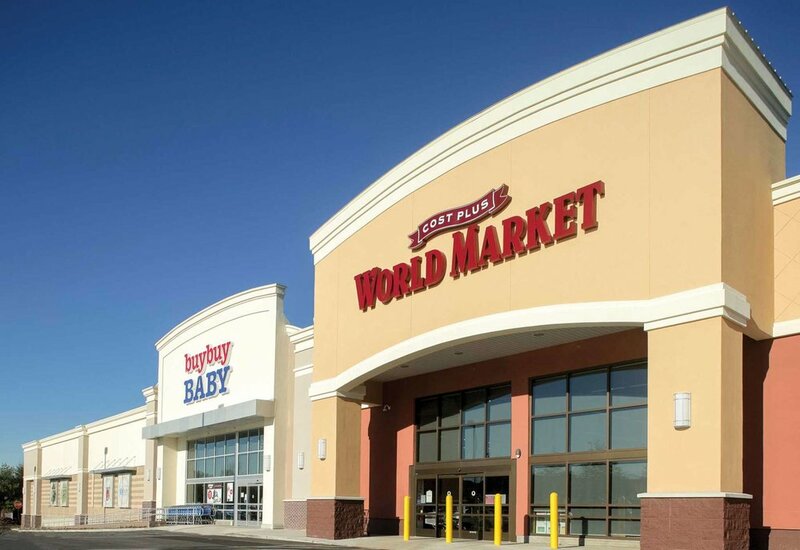 In 2014, G&S redeveloped the shopping center and re-tenant the space with Buy Buy Baby, Cost Plus World Market, Nordstrom Rack, DSW, TJ Maxx and Ulta. The property was successfully sold in 2015. In 1995-1997, G&S developed a 12.3 acre former municipal incinerator site; transforming an abandoned eyesore with significant contamination problems into a 137,000 sq. ft. Costco Wholesale Club. G&S’ proposal was selected by the City of New Rochelle over competing proposals from several other developers and tenants. G&S’ plan addressed the City’s needs for protection from liability for environmental problems, an increased tax base and an anchor for future development. G&S improved a run-down city park, relocated the area animal shelter and capped the site in a manner acceptable to Costco and the State of New York environmental authorities. Since the approval of the Costco plan, not only has that store been completed, but a Home Depot and Linens N’ Things have also opened on adjacent parcels. The project created 250 construction and 150 permanent and part-time retail jobs.